In recent years, many Hollywood movies have included famous Chinese actors and actresses to entice Chinese moviegoers. On Nov. 26, the Chinese Communist Party (CCP) decided to use a film forum to school its biggest stars on Party ideology. At Xixi National Wetland Park in Hangzhou City, Zhejiang Province, more than 120 celebrities, including actors, screenwriters, and directors, as well as representatives of project financiers, attended the “Chinese Movies and Its New Power” film forum. 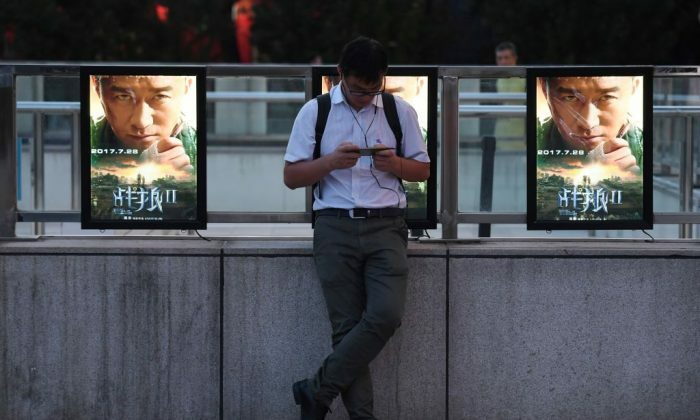 The event was hosted by the film bureau of the State Administration of Press, Publication, Radio, Film and Television (SAPPRFT), one of China’s main censorship bodies. All films must get approval from this bureau in order to be screened in China. While the stars shared their acting experiences and understanding of how to be a better actor, SAPPRFT Deputy Director Zhang Hongsen demanded three things from them: “unified thinking, clear mission, and improving creation,” according to Chinese state-run media Zhejiang Online. On Weibo, China’s popular microblogging site, some netizens sarcastically commented that the whole forum seemed like a show. Others commented that the forum reminded them of the 1942 Yan’an Forum on Literature and Art. CCP leader Mao Zedong gave a speech at the Yan’an forum in May 1942, instructing writers and artists on how to instill Party ideology. According to regime mouthpiece Xinhua, China’s total box office sales broke 50 billion yuan (about $7.56 billion), as of Nov. 20. Xinhua predicted that China would become the world’s largest movie market by 2020. Currently, China comes in second behind the United States in terms of box office revenue. After toughening its laws in March, the Chinese regime now requires filmmaking entities to file script outlines with the SAPPRFT before shooting. Drafts of completed scripts are required if the film involves sensitive topics, such as national security, foreign relations, ethnic groups, religion, and military affairs. The finished film must obtain a release license from the SAPPRFT before it can be published in any form. The film forum, which is held annually, failed to garner the same attention when it was held in the northern city of Changchun last year, due to the lack of star power compared to this year—though the forum was still attended by many screenwriters, directors, producers, and project financiers, according to Chinese news portal Sohu. They were told that the meeting was intended to ensure that the SAPPRFT’s and China’s propaganda department guidelines were put into practice. Dear reader, we work hard to bring you important and interesting stories from around the world, but we can’t do it without people reading them. Think your friends may not know about this? Share it to keep them up to date. It takes less than a minute. Thank you!